Happy Valentine’s Day everyone! But this isn’t just another empty Valentine, wherein you get NOTHING but a few words, some chalky chocolate and a wilted rose. I’ve been soooo loving all of your Instagrams from Isa Does It, that I want to give you the love right back. Introducing The #IsaLovesIt Instagram Valentine contest! 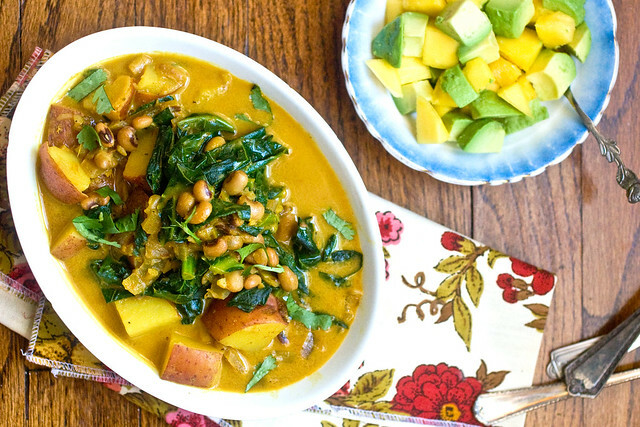 Get out your cutest cloths and most vintagey forks, and get cooking. Tag your Instagram photos #IsaLovesIt to be sure that I see! 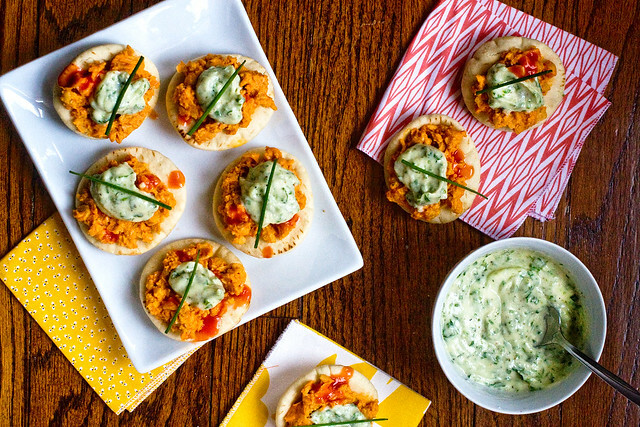 You can use recipes from the book, but if you don’t have the book, you can try these sample recipes from the blog. The winner will get a Breville Sous Chef Food Processor and a copy of Isa Does It. 10 second prize winners will receive a copy of Isa Does It. And I’ll feature the winning posts on my Instagram, Facebook and blog. Feel free to enter as many photos as you like. And sorry, but because my publisher is sponsoring the contest, it is US only. Thank you for understanding! OK rules below, start snapping and good luck! PS follow me over at Instagram @IsaChandra. Be sure to read all the rules and requirements below, and happy cooking everyone! 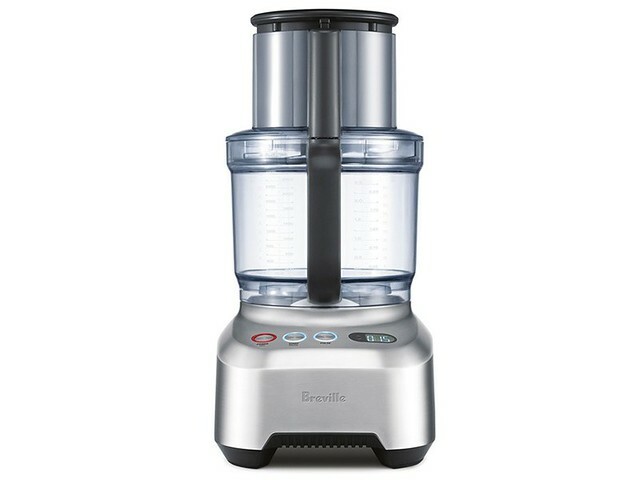 This is the Breville Food Processor for the winner, isn’t it a looker? To enter the contest, cook one (or more!) 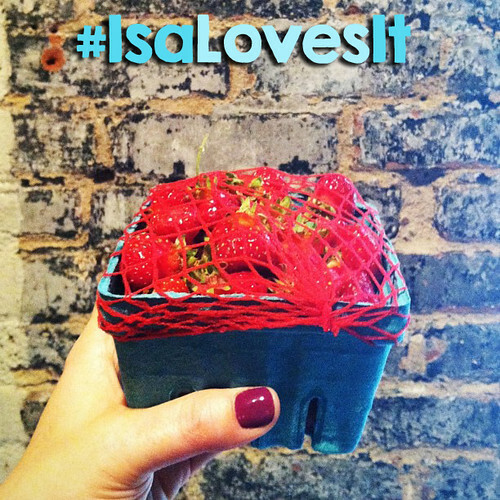 of the recipes in Isa Does It, snap a picture, upload the picture to Instagram, and tag with #IsaLovesIt. I’ll be judging the photos based on quality, creativity, and the appearance and presentation of the dish. The contest is open from 1/30/14 – 2/15/14. One grand prize winner will receive 1 Breville Sous Chef Food Processor and a copy of Isa Does It (to share with your loved ones!). Ten second prize winners will receive a copy of Isa Does It. NO PURCHASE NECESSARY TO ENTER OR WIN. A PURCHASE OR PAYMENT OF ANY KIND WILL NOT IMPROVE YOUR CHANCE OF WINNING. Void where prohibited. Must be at least 18 years of age and a US resident to enter. Contest begins 12:01am ET January 30, 2014 and ends 11:59 ET February 15, 2014. Visit http://bit.ly/1aKlXvU to read the Official Rules. Sponsor: Hachette Book Group, Inc. 237 Park Avenue, New York, NY 10017. This Contest is no way sponsored or endorsed by Instagram. You are going to want these pancakes around this time of year the same way you are going to want vintage candy cane lights and indie-rock Xmas playlists and to watch Love, Actually over and over again. Basically, you won’t be able to live without them from now until January 1st. After that, put them away, let their powers recharge, and do it again next year! Since vegan eggnogs vary from brand to brand, your results may vary, but I can’t see anything going drastically wrong from using a brand other than the one I used (which was So Delicious Coconut Eggnog, btw.) Some are thinner than others, some are spicier, but you always have to play with pancake batter a little anyway, adding a tablespoon of extra flour or a splash of extra liquid. So I say don’t sweat it. 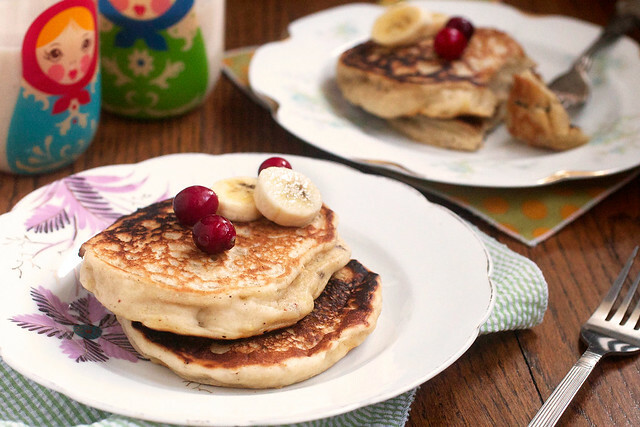 I’ve also included a little extra nutmeg just to drive home the point…these are eggnog pancakes! If there still isn’t enough of that woodsy perfume then definitely shave a little bit more nutmeg over the top of your stack because YUM. The best way to shave whole nutmeg is to use a microplane grater. And then it gets super pretty, too, because you can see all the lovely grain contained within the seed. Oh, and the scent isn’t too shabby either. A little coconut oil over the top (instead of butter or whatever) tastes totally delish, too. 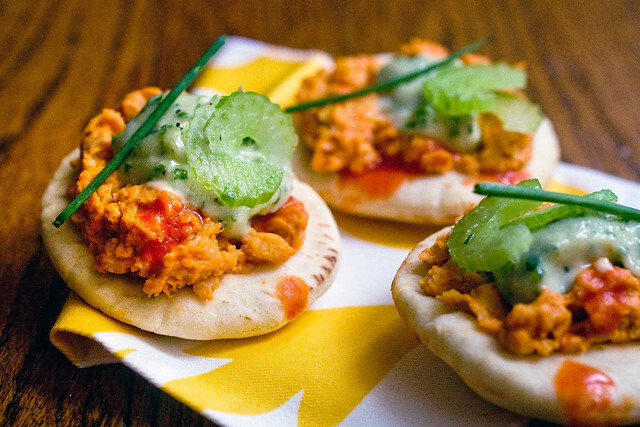 Serve these for Christmas morning or New Years brunch or tonight for the heck of it. Enjoy, and happy holidays everyone! ~ Don’t use an electric mixer for the batter. Overmixed pancakes tend to result in a dense pancake. I use a dinner fork to get everything mixed. ~ You have to let the batter rest for ten minutes or so. The vinegar and the baking powder need to react with each other and the gluten needs to settle in and rest. ~Don’t crowd the pan. Even in my big cast iron, I don’t make more than two pancakes at once. ~ Don’t use too much oil in the pan. It will result in a tough exterior. A very thin layer of oil is what you want and a spray can of organic canola oil works perfectly for this. ~ Preheat the pan for a good ten minutes. I use cast iron and put it on moderate low heat (right around 3 on my stovetop), but you will probably need to adjust a little to get the temp just right. Remember, the temp is not set in stone. Lower and raise in tiny increments as needed. Even turning the dial 1/4 inch can result in big changes. ~ Use a measuring cup (with a rounded bottom if possible) to scoop out the batter. And remember to always spray the cup between pancakes, to prevent sticking. ~ Once you drop the pancake in, refrain from futzing with the batter too much. But don’t be afraid to delicately nudge the batter a tiny bit with your fingers to get a more circular shape and more even cooking. But the batter should spread a tiny bit and puff up all on its own. In a medium mixing bowl, mash bananas (using a strong fork or a potato masher or an avocado masher) until they are almost pureed. Add eggnog, canola oil, vinegar and vanilla extract and set aside. In a separate large mixing bowl, sift together the flour, baking powder, nutmeg and salt. Make a well in the center. Pour the banana mixture into the center of the dry ingredients. Add the oil and vanilla and use a fork to mix until a thick, lumpy batter forms. That should take about a minute. It doesn’t need to be smooth, just make sure you get all the ingredients incorporated. Lightly coat the pan in oil. Add 1/3 cup of batter for each pancake, and cook for about 4 minutes, until puffy. Flip the pancakes, adding a new coat of oil to the pan, and cook for another 3 minutes or so. Pancake should be about 3/4 of an inch thick, and golden brown. Rest pancakes on a cooling rack covered with tin foil until ready to serve. To reheat, place pancakes in on a baking sheet covered with tin foil in a 300 F degree oven for 5 minutes or so. Serve with sliced bananas, cranberries and maple syrup.